Tanay is a 1st class municipality in the province of Rizal, Philippines. It is located 57 kilometers east of Manila, although a typical commute between Manila and Tanay will take between one to three hours depending upon traffic conditions. It contains portions of the Sierra Madre Mountains and is bordered by Antipolo City in the northeast, Baras, Morong and Teresa in the west, General Nakar (Quezon Province) in the east, and Pililla, Santa Maria (Laguna province) as well as the lake Laguna de Bay in the south. 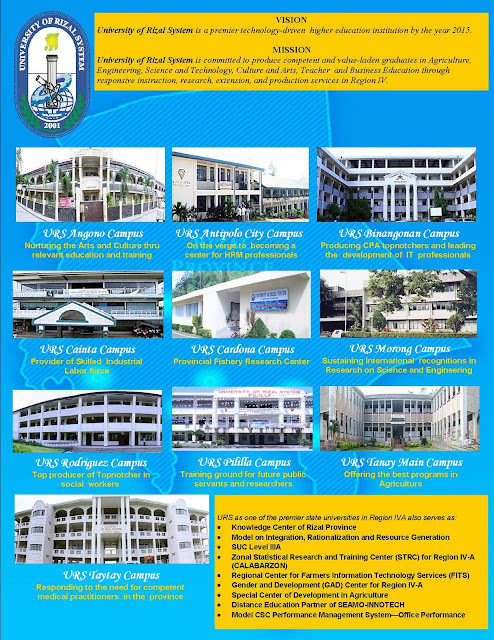 URS Tanay campus is located at Brgy. Sampaloc, Tanay, Rizal. The campus sits on the hilly mountainside connected to Sierra Madre mountain range. It is endowed with a vast land and forestry area of approximately 92.45 hectares. Approximately located more than 15 kilometers from the town proper, the campus location is ideal and conducive for a research-oriented institution because of its distance from noise and distractions generated by various sources of recreational establishments. 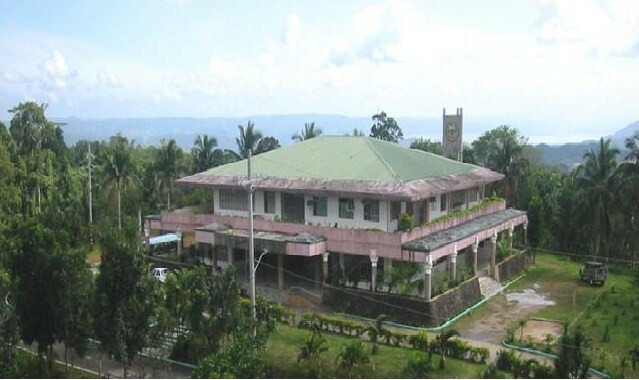 At present, the campus has nine (9) agricultural laboratories/center which are supervised by faculty with strong research background particularly in the field of Agriculture thus earning for the College of Agriculture a designation as the Provincial Institute of Agriculture (PIA) by virtue of CHED Memorandum No. 32 s. 2009 and a Special Center of Development in Agriculture because of its well-established graduate program in Agriculture. Morong is now a 1st class municipality in the province of Rizal, Philippines. According to the latest census, it has a population of 50,538 inhabitants in 8,988 households. The campus is located along Sumulong St., Barangay San Juan, Morong, Rizal. Approximately, the campus area is 17 hectares including area presently occupied by DepEd public elementary and secondary schools. Although URS Tanay is the main campus, the campus is more accessible to nearby towns thus attracting many students and employing the most number of faculty and administrative staff. Since its establishment in 1983, the campus has maintained its advance and well-planned facilities such as the three-storey building with enough space for the academic, administration, library, language center and audio-visual center as well as 1200-capacity auditorium, industrial shops, indoor gymnasium and student canteen. The construction of unfinished sports oval is currently being continued with the support of the present provincial government. In addition, the campus has a new multimedia center, research and production center, printing press, international office, student center, computer center, GAD center, statistical center and newly renovated auditorium, alumni center, student dormitory and function halls. These facilities are serving the students and faculty of the colleges of Education, Industrial Technology, Science and Engineering. With respect to the campus location relative to other recreational establishments, the host town (Morong) has no moviehouse and most of the bars are located outside the town proper. Furthermore, there are no major source of distractions from any industrial firms which are all located in the outskirts of the town to avoid traffic and congestion. Finally, being an educational center, the local council does not allow gambling and regulate the operation of businesses which may have adverse effect on students’ academic performance and social well-being.